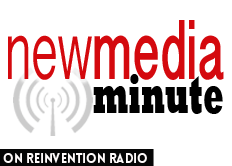 Are You Using New Media the Wrong Way? Special guest Megan Fenyoe joins the Reinvention Radio Crew in studio. Megan was fired just four days before attending New Media Summit in September. Her reason for being fired was using new media in the workplace the wrong way.